And you still look pretty much just the same! Lovely picture. You look very happy and content in the photo. The grands, too! You are one lucky Nana. Watching grandchildren grow and develop is one of the greatest gifts of our elder-years. We now have 8 "grandies" and 1 great-grandchild. May you enjoy many more years with them. You are SO right, time flies! I'm amazed at how quickly our grands are growing up! What a good picture of you! I hope you and Walter are doing well. I haven't had a lot of time for visiting since Ed retired. We're still adjusting and finding our way through this new adventure called 'retirement'. You and I are blessed and rich with Grands! Yours are similar ages to mine - except Sam, the youngest, is only 2. Yes, they grow and grow until one day they are grown. 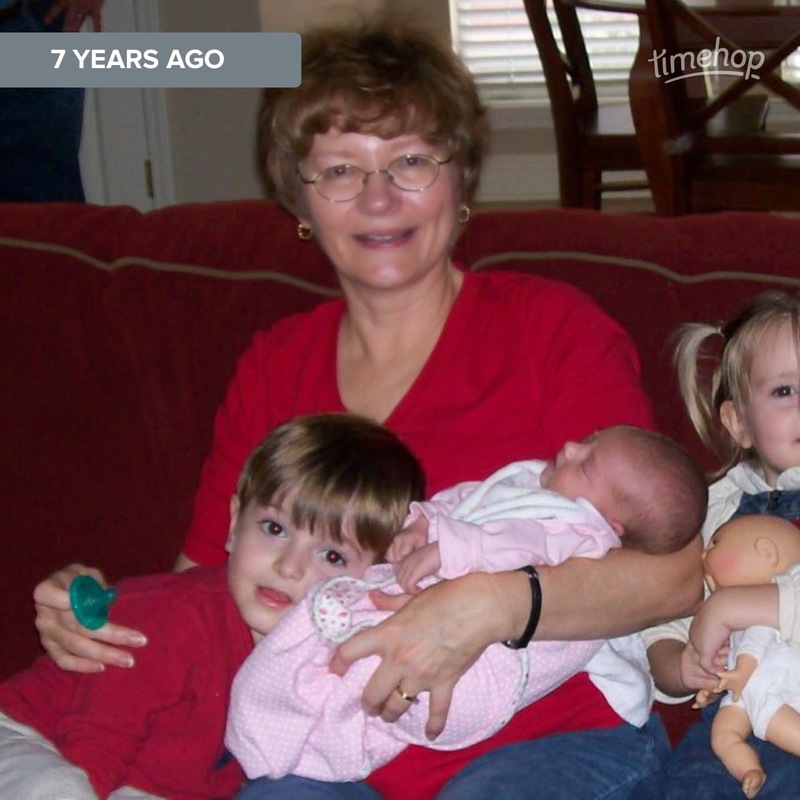 Seems like yesterday Molly Kate was a baby.